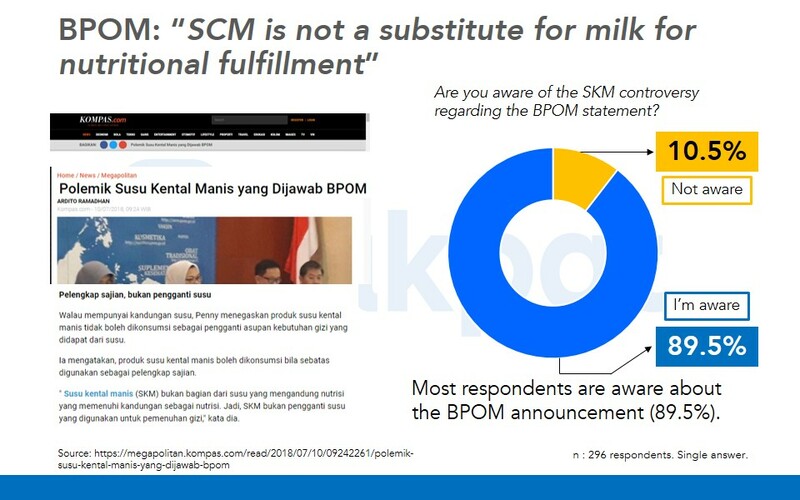 Recently, Indonesia National Agency of Drug and Food Control (BPOM) and Ministry of Health Republic Indonesia announced that the sweetened condensed milk (susu kental manis, herein after referred to SKM) is not categorized as milk product, as it contains much higher amount of sugar and calories instead of the protein. This condition led to controversy among society and business as it has been long consumed as a milk drink. 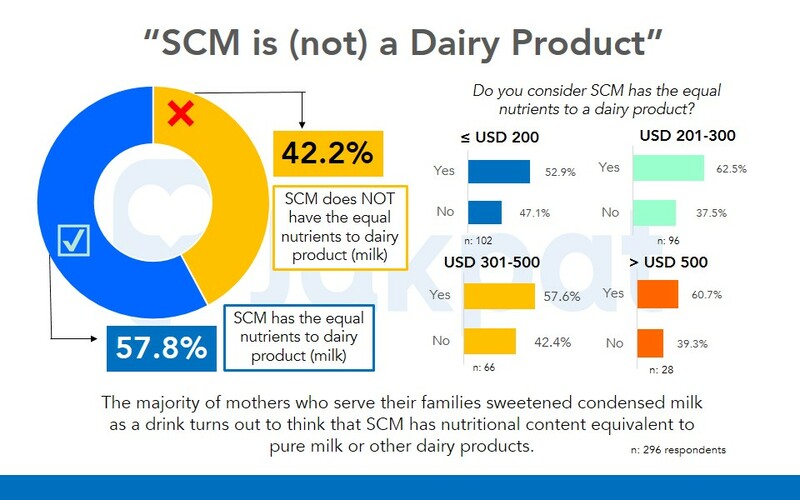 Responding to this condition, we would like to examine respondents awareness about this issue, their response, as well as their possible changing consumption pattern of SCM. This survey is aimed towards 296 respondents nationwide. All respondents in this survey are married female/mother segment. Our basic consideration of choosing this segment due to the significant role they play in deciding her family meals consumption. 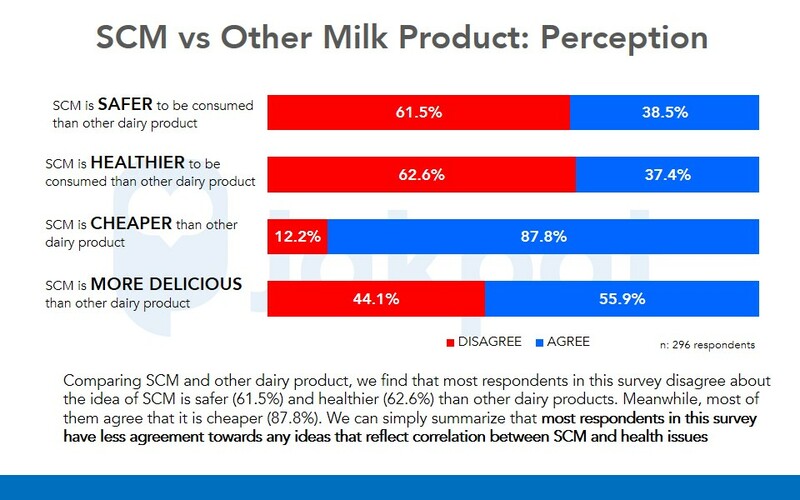 As the result of this survey, we find that respondents awareness about this issue is quite high and it affects their SCM consumption. Furthermore, this data would be beneficial especially for those who work in the food and beverages/eatery industries, as well as the fast-moving consumer goods company. This entry was posted in Download Reports, Health, Housing, Lifestyle on September 27, 2018 by Syaifa Tania.